According to the World Health Organisation, 25 grams a day is plenty. Like the SACN, they recently reduced their recommendation for consumption to 5% of daily intake. For someone with a relatively normal BMI, this equates to a limit of 6 teaspoons a day. And whilst you may think that sounds a lot, it is surprising how prevalent free sugars are within our daily diet. They are not just in the obvious sources like cakes, chocolates, sweets or biscuits. Free sugars are found in ketchup, savoury foods, stir-in sauces and salad cream. They are also found in alcoholic and non-alcoholic drinks as well as fruit yoghurts and fromage frais. But savoury foods do not advertise the fact they are high in sugar. The food labels hide the fact by using unusual names for sugar-based contents. For example, these are some of the alternative names used; glucose, syrup, dextrose, fructose, treacle, molasses, lactose and corn syrup. The truth is, according to the British Dietetic Association, every age group in the UK is eating at least twice as much “free sugar” as is recommended. It is important not to overstate the case of how harmful sugar can be. The issue causes much debate and controversy. It is hard for science to come to definitive conclusions because of the limitations on experimentation. Firstly, it is hard to control all other variables when judging the impact of excess sugar intake on health. To investigate the true long-term impact of high sugar intake, you would need to regulate the intake of all other macro-nutrients and food sources. All food sources would need to be evenly matched in both the test group and control group. Furthermore, it would be unethical to encourage a test group to regularly consume high levels of sugar. Despite this, there are some areas where science has legitimate concerns about the impact of excess sugar in your diet. Chief among these is the heightened risk of heart disease, obesity, diabetes and tooth decay. And, on the flip side of the coin, science hasn’t categorically disproved a correlation with high sugar consumption and other possible health conditions either. Many specialists believe that excess sugar can be a cause of inflammation, bone pain and may even increase the risk of Alzheimer’s. While some of the areas may still be open to conjecture, the simple truth is, added sugar isn’t needed for a healthy diet. These are empty calories, devoid of nutritional content, and simply make it harder for you to control your overall calorie intake. The best way to reduce your intake is to focus on eating whole and unprocessed foods. As a rule, we tend to eat more and more packaged food. We are slowly losing the art of preparing food from raw ingredients. It’s time to take a step back in the right direction. Also, you should try to slowly reduce or eliminate the sugar you have with hot drinks. For example, if you habitually take two sugars in your tea, cut back to one. You will adapt to the change in sweetness surprisingly quickly. And over time, you might be able to eliminate sugar from your hot drinks altogether. It’s a good idea to change your habits with regard to cold beverages too. Definitely cut back on, or cut out fizzy drinks. And try to get your fruit from natural sources rather than fruit drinks. In nature, foods containing sugars usually also contain fibre, vitamins and minerals and water. This makes them far more nutritious and beneficial for the body. 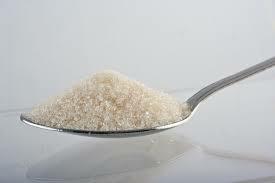 But to tackle the issue of sugar intake comprehensively, it is best to consult with a professional nutritionist. Diet is often a highly personal thing, and a consultation and subsequent dietary plan will go a long way to addressing your individual needs.